Ah Tuscany…a dream of a place. Stunning countryside, picture-perfect villages and fabulous food. 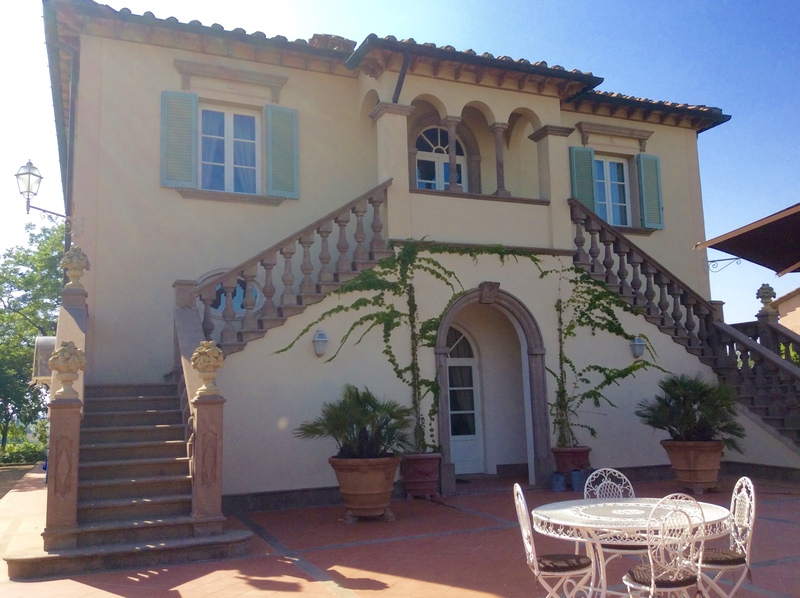 And I can’t think of many better places for a family holiday than Tuscany with kids. 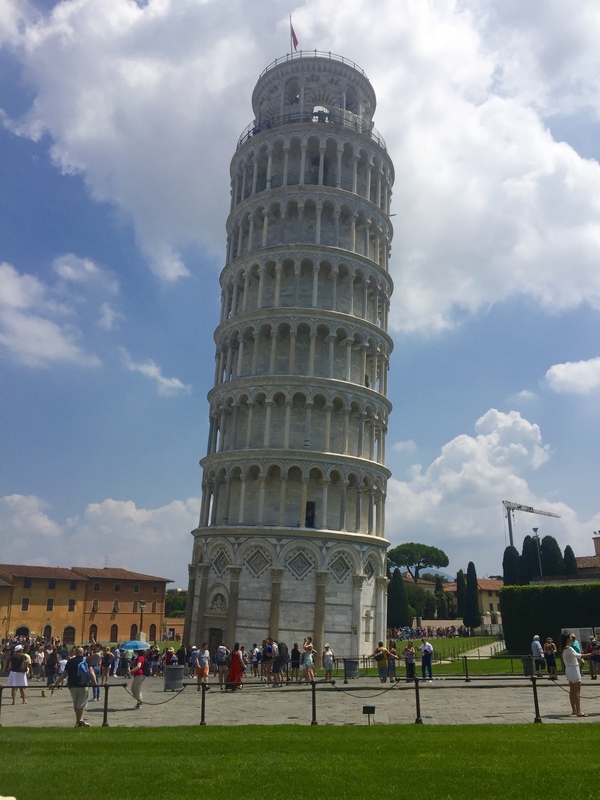 Children are made very welcome in Italy, and there is so much to see and do. For us it was the perfect mix of relaxing (as far as you can with kids..), sightseeing and culture. 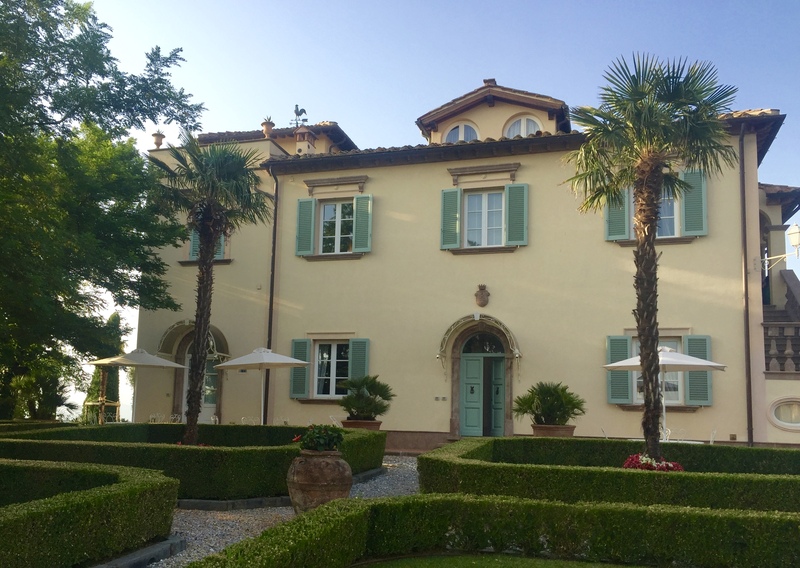 We stayed at Poggio Al Casone, which we all absolutely loved. It’s on a working vineyard, has beautiful views and a really nice pool area. There were bikes for rent, a vineyard tour, wine tasting and art classes for the kids. My daughters were thrilled that our apartment was actually a tower, and we were impressed with the quality of the accommodation. Basically, we didn’t want to leave. A lot of the beautiful agritrismos are very difficult to get to – and sometimes hard to even find! The roads in rural Tuscany are often not much more than tracks and can take far longer to drive on than you bargained for. I had my heart set on one place to stay, but when I checked the map I realised it really was in the middle of nowhere. Perfect for couples, not so good with two energetic kids to keep entertained. We traded the beauty of the surrounding countryside for proximity to the motorway and the cities we wanted to visit. This meant we could have days relaxing by the pool, but also managed to go to all our ‘must see’ places. Definitely give this some thought if you are visiting Tuscany with kids. From experience, less time in the car and more time in the pool makes for a happy family holiday. 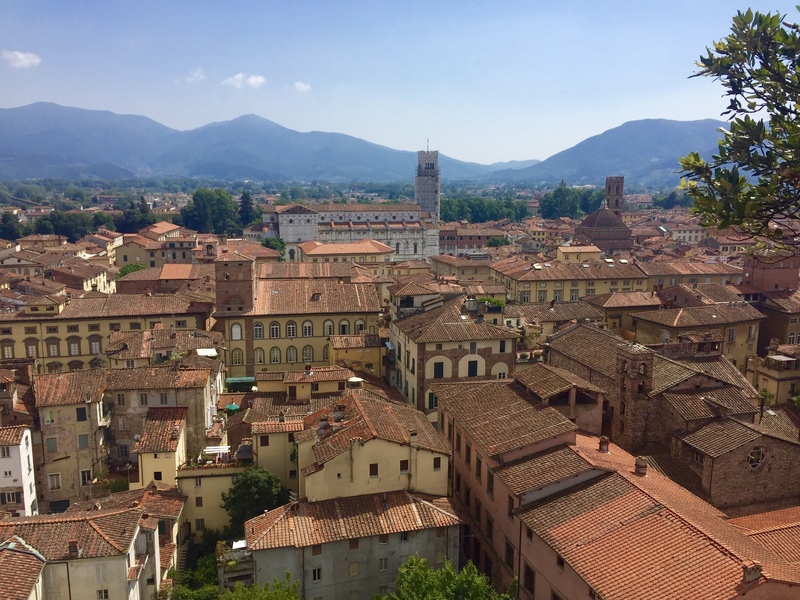 Lucca – Beautiful and quintessentially Tuscan – really worth a visit. The city walls form a 4.9km loop around the city, and they are wide enough to walk or cycle on. This makes a great vantage point for viewing the city and is fun for the kids. Bikes are available for hire. We enjoyed admiring the views after climbing the Guinigi Tower (and getting our breath back…a lot of steps!). 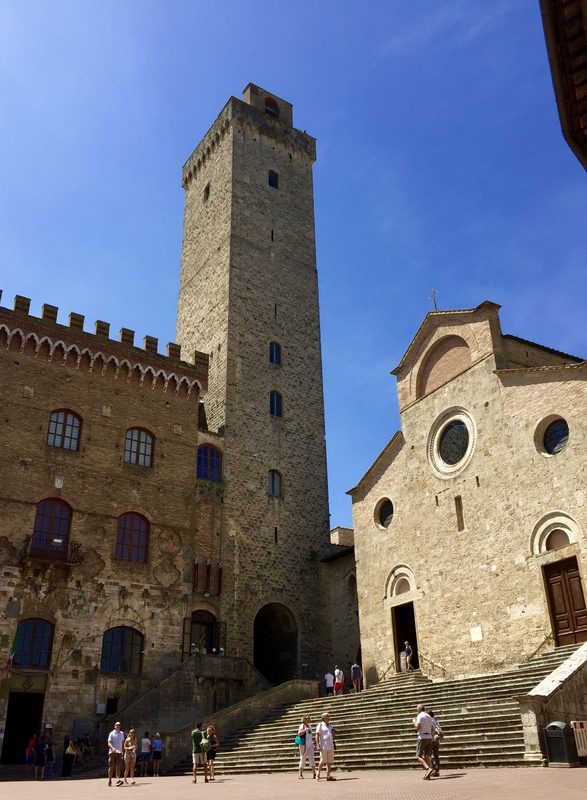 San Gimignano – This is a very touristy Tuscan town, but deservedly so as it’s absolutely gorgeous. It’s another walled town, with 14 towers rising up like medieval skyscrapers. Amazing views at the top of the open tower, but probably not a good idea with very young children. Florence – One of my favourite cities and deserving of it’s own blog post, coming next. We didn’t go to Siena because we only had a week…and it’s nice to leave something to go back for. You don’t really think ‘beach’ when you think of Tuscany, do you? But Tuscany is a huge area and stretches right down to the coast, and as you go further south, the beaches get better and better. As my girls are beach bums (formative years in Thailand will do that to a child…) they were desperate to see the sea, and I was happy to oblige. As with all Italian beaches in July, it was busy, but we splashed out and paid for loungers at a beach club. Going to the beach in Italy is a bit different to other places, and unless you are on a ‘wild’ or free beach, there are usually beach clubs. 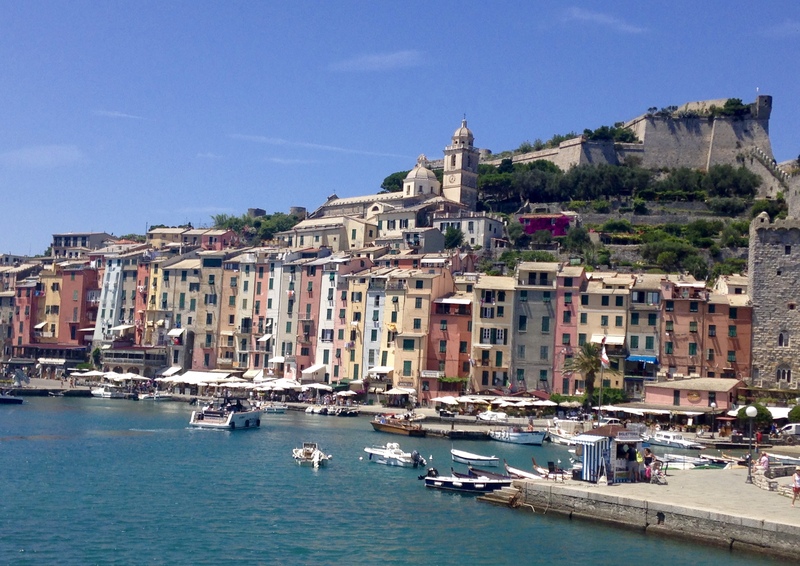 Here‘s information on how to go to the beach in Italy…yes, really! We went to the beach near San Vincenzo; it was very clean and the water was shallow and clear. The kids loved it and there were big inflatables to play on in the sea. We must have had fun because I didn’t take any photos! 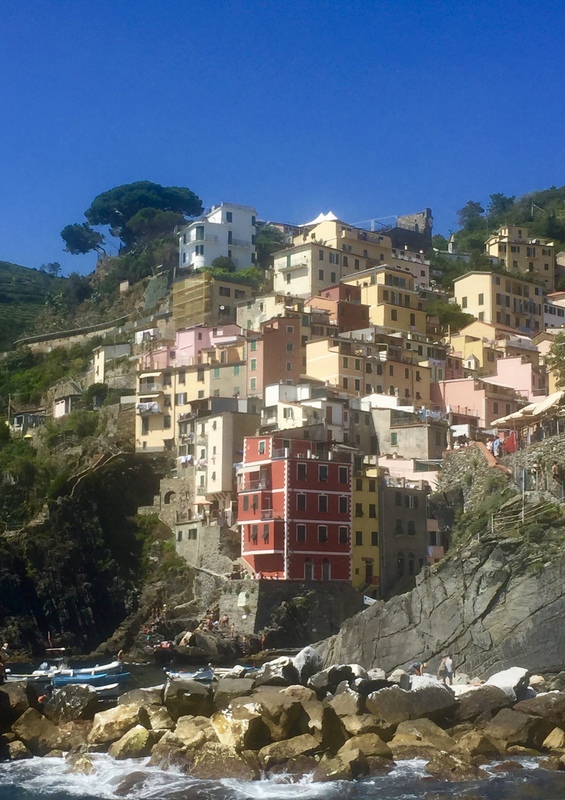 Cinque Terre – Ok, this is in Liguria, but easy to get to from Tuscany. Set into the rocky coastline, these five fishing villages make up Cinque Terre which is a World Heritage Site. Beautiful and dramatic, it really is worth a visit. We took a ‘hop on hop off’ boat along the coast,which was fun for the kids. We then took the train back, which was much faster but not very scenic. A word of warning though – we went in July and it was HOT and extremely busy. You will definitely need a car. If you are renting one, it makes life a lot easier if you can bring your own car seats for the children as you know you can guarantee the safety of the seats. Ok, not easier as you have to take it on the plane with you, but it can make life a lot less stressful at the car hire place. You don’t want to spend ages sorting through dirty car seats while all the time wondering whether they are going to be safe or not. Here‘s an article with more info on this. We had no problems driving in Italy, and the motorway services were the best we have experienced so far. Italy tops the ranking (great coffee and sandwiches) and coming in at the bottom is Belgium. Seriously, if you are driving through Belgium, better pack a picnic. Some info here on driving in Italy. Having just re-read this I’ve realised I’ve said at least once that I plan to go back! And honestly, if I could, I’d go there right now. Have you planned your holiday this summer? Where would your dream destination be? How about Lake Como? Click here for my travel tips. Corsica with Kids – The Perfect Family Holiday? I love this article!! We are planning to go to Tuscany this summer and this was extremely helpful – thank you for all the great recommendations! So, you might be moving overseas?